After installed, the spacer behind the brake rotor is largely unnoticeable. In the spring of 2015, with the help of Trek, SRAM announced a Boost hub spacing standard, which basically widens front hub spacing from 100 to 110 millimeters, rear hubs from 142 to 148 millimeters, and moves the flanges out a few millimeters on each side. To help smooth the consumer transition from pre- to post-Boost life, a handful companies are offering adapters to retrofit hubs to Boost frames and forks. My everyday trail bike is a 135mm-travel-travel Stumpjumper FSR 29, and I recently went from a 2015 model year to a fresh, 2017 version. As expected, the latter is equipped with front and rear Boost spacing. A few weeks after receiving the new ride, I was off to join some buddies in the southern Sierra Mountains of Kernville, California, for our annual camping and riding trip. Whenever I drive more than a couple of hours to ride I like to bring a backup wheelset. "The Kern" is about a 12-hour round trip for me, and I have plenty of backup 29er wheels, which now don't do me much good. Specialized has a lot of bikes in the marketplace, and many of those are equipped with their Roval line of wheels. If a rider wants to make their current Roval wheels Boost compatible, Specialized offers Boost conversion adapters for select 2013-2016 Roval models. Converting my two-year-old Roval Traverse wheels to Boost dimensions required the Roval Control SL 29 142+ Boost Conversion kit ($55). 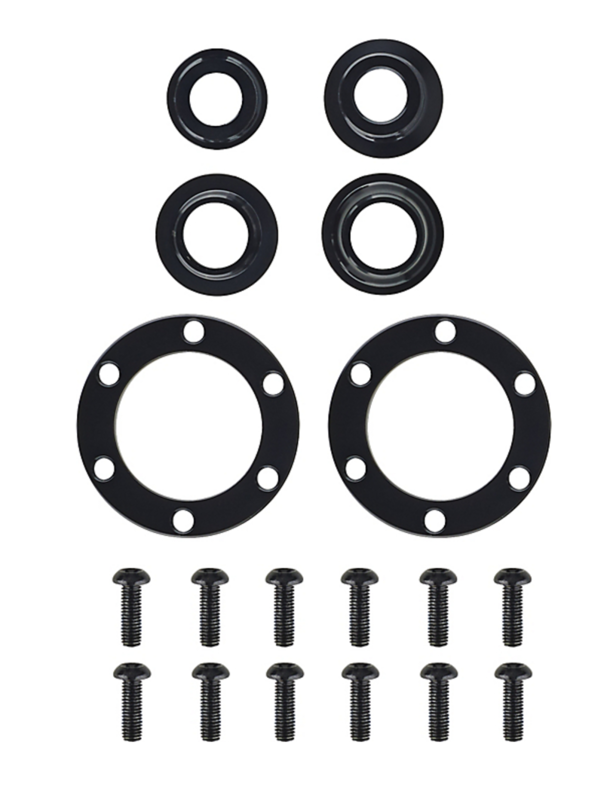 The kit includes front and rear hub end caps, rotor spacers, and longer, kit-specific rotor bolts. Will these adapters work for other wheel brands? Sorta. The Roval Boost adapters only play nice with Roval front hubs, but the rear hub kit would technically work with DT Swiss 360, 350 and 240 models. Everything included in the $55 kit: end caps, rotor spacers, and extended rotor bolts. Setting up the Roval wheels with the Boost adapters is a simple modification. Remove the brake rotors, front hub end caps, and rear non-drive side end cap (the current drive-side end cap stays put). Next, drop in the new end caps, place the spacers behind the rotors, tighten down both the rotor and spacers with the longer rotor bolts and the conversion is basically finished. After installed, the rear wheel must be re-dished a few millimeters back to center, a service Specialized recommends be done by a local dealer. Spoke-savvy home mechanics can likely handle the task themselves. The new Roval Boost end caps, rotor spacers, and longer rotor bolts weighed an additional 35 grams more than the original setup, an imperceivable difference–especially since the added bits are directly mounted to the hub. I've been exclusively riding the Boost-adapted Traverse wheelset for the past month. Utilizing the adapters doesn’t provide me with the stiffness benefits of a Boost wheel, but like the added 35 grams, I found the difference in stiffness largely unnoticeable. The only issue I've come across with the Boost adapter kit is with the rear wheel: On long climbs I occasionally notice a creaking sound coming from it. This could be the result of asking the slightly extended, non-drive-side end cap to handle a lot of torque and leverage (or, perhaps it's only calibrated for human strength?). 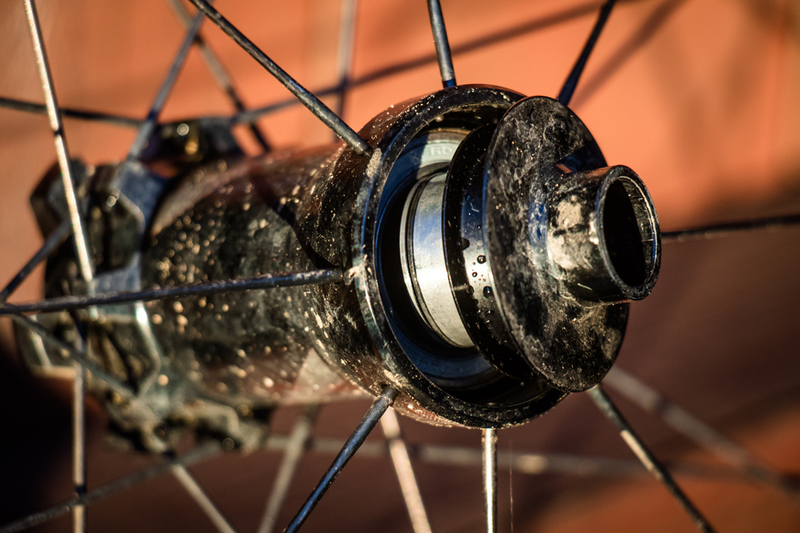 I'm speculating on the origin of the sporadic rear hub creak, but it's not my imagination. Regardless, the Roval Boost adapter kit certainly comes in handy for riders looking to utilize an older-generation Roval wheelset on a new bike or frame kit, or to simply create a Boost-ready backup wheelset for only $55.